Just a few words today as the dealings of the closest family members and associates of President Trump continue to ensure that his campaign’s relationships with multiple Russian contacts likely connected to the Putin regime will dominate our lives for quite a while. I’m not going to write much today because this story is going to gain traction until the President is either impeached or resigns from office, unless he blunders us into a big war, or there is a terrorist attack that allows him to get his own Reichstag Fire opportunity. “There are few things more dangerous than a mixture of power, arrogance and incompetence. We are seeing that today with the members of the Trump administration and their true believer followers. 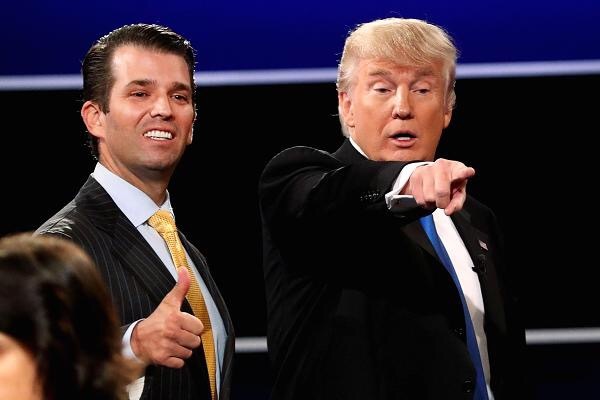 The revelation of Donald Trump Jr.’s emails with Russian contacts and his meeting with them along with Trump’s campaign manager and son-in-law at a time when the President and all of his advisers denied all contacts with anyone related to Russia are astounding and reveal more than a smoking gun, but a complete disregard of American national security. Winning an elected appears to have mattered more to them than their county, the principles of our democracy, and our national security. Personally I am hard pressed as a former Reagan Republican and Cold Warrior to believe how anyone can defend the President’s proclivity to prefer Putin to our allies in NATO, and his willingness to throw NATO, American Intelligence agencies, diplomats, and law enforcement under the bus to defend Putin and his dictatorship. But they are and paradoxically had a Democrat been accused of one iota of what is being revealed about Trump’s family connections to the Russian interference in the American electoral process these same people would be calling for immediate impeachment. But they don’t care because they have so linked their fortunes to Trump that they cannot back down. As things get worse they will become more desperate but few of the True believers, mostly Evangelical Christians, will defect. They will fight to the end. That makes him and them very dangerous. They will create such chaos that it will undermine national security and leave us vulnerable to whatever the Russians or any other enemy might want to do, because the President will be so compromised that nobody will believe a word that he says. That poses danger to Americans around the world, our various allies, and to us at home. Well before there was any smoking gun I have been warning about the dangers posed by the arrogant, ignorant, and incompetence shown by the President and his closest advisors. I worry that this administration and its true believer followers will resort to violence backed by the power of the state to maintain power. I would very much like to be wrong but there is nothing that the administration has done to assuage my fears. This is not good, it is not normal, and it is dangerous for all of us. Some believe a chaotic, seemingly out-of-control world yields a population made intentionally exhausted by the chaos and fear. This population will welcome martial law and usher in the ‘new fascism’. Trump didn’t light this fire, in our opinion. He has certainly fanned those flames during his six-month presidency; but the two sticks were rubbed together to ignite this mess a few decades ago. This fire has been smoldering for some time, well before Trump and like you said he has fanned those flames.